Into the Current, created for the Kites Over Vista public arts program, represents the Great Pacific Garbage Patch and the marine litter that gathers there due to circular currents in the Pacific Ocean that act like giant whirlpools, trapping plastic detritus and other debris. The title of the piece, Into the Current, has a double meaning, alluding to both the ocean currents and the current reality of the health of our oceans. As an avid beach cleaner, I found much of the attached pieces of plastic washed up on San Diego North County beaches. My sister and her husband, Judith Selby Lang and Richard Lang, also provided plastic that they have collected from Marin County beaches. In addition, beach cleaners from around the world contributed bits to make Into the Current an international effort, illustrating that people everywhere have a direct environmental impact. You can find Into the Current in front of The Wave Waterpark at 101 Wave Drive in Vista, California. The marine debris that makes up Into the Current includes many unrecognizable pieces of plastic, but it also includes familiar things, and many aspects of modern culture are represented. Bottle caps, toys, grooming products, kitchen items, and much more are curated by the tides. Look closely at the sculpture, and try to find some of the objects listed below. Can you spot items that you use in your household? Do you see anything that could have once been yours? 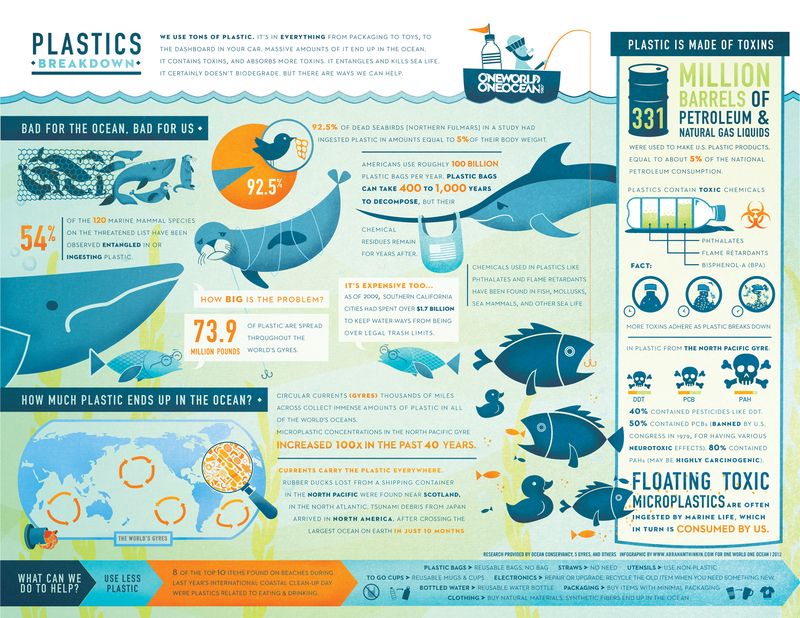 Marine debris can be defined as “anything man-made and solid in the ocean that isn’t supposed to be there.” An estimated 8 million tons of plastic enters the ocean every year, and 80% of it comes from land-based sources. It can travel through storm drains and waterways many miles from the coastline before ending up in the ocean where the currents in the Pacific Gyre can trap it in the Great Pacific Garbage Patch. A study has shown that by 2050 there could be more plastic than fish in the ocean, and all of that plastic is damaging the ocean ecosystem. The facts are shocking and the images of injured animals are difficult to view. Everything I pick up has the potential to do harm. When I clean debris off of the beach, I know that I am helping marine creatures who could become entangled it, and I realize that I am preventing sea life from ingesting harmful plastics. 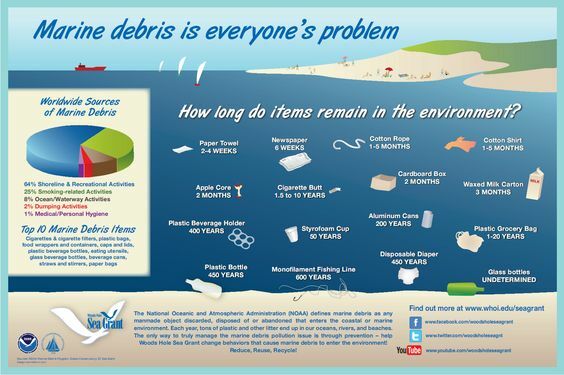 Every bit I remove is one less piece added to the vast amount of marine debris that already exists. Estimates of the amount of plastic in the oceans vary, and the exact size of the Great Pacific Garbage Patch is unknown, but there is one thing I am certain about—an an ever-increasing amount of trash is washing up on the beaches where I walk. If you would like to learn more, the trailer for the film A Plastic Ocean provides an impactful look at the seriousness of the problem. 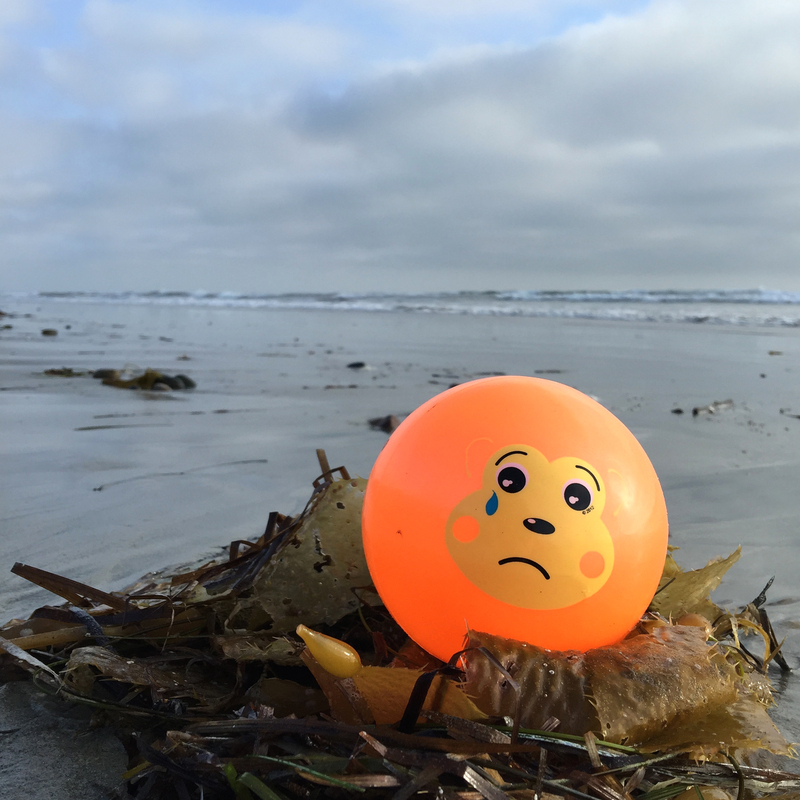 The short film Our Debris Filling the Sea offers an interesting overview, and the Trash Talk video series presents a kid-friendly introduction to the topic that is accessible and educational. I am grateful to instructor Nick Scott and the students in the Metal Fabrication course offered through Mira Costa College’s Technology Career Institute. They did professional quality work as they constructed the complex 5’ x 5’ structure out of steel flat bar, rebar, and galvanized metal mesh. For information about welding and fabrication courses available through the Technology Career Institute, please visit http://tci.miracosta.edu/courses-manufacturing-metalfab.html. I am also grateful to Scott Jambeau at San Diego Steel Solutions who donated steel used to fabricate the sculpture. This project would not have been possible without the encouragement of my sister and her husband, Judith Selby Lang and Richard Lang. For close to 20 years, they have been collecting plastic refuse from Kehoe Beach in Marin County, California. They use what they find to create beautiful works of art that have been on view in museums and galleries world-wide. A short documentary film called One Plastic Beach tells their story. They offered their love and support throughout the process—and supplied beach plastic used in the creation of Into the Current. Beach plastic contributions were also made by friends from around the world who are connected through social media. I am grateful to the following dedicated environmentalists who share my passion for reducing waste, picking up litter, and cleaning beaches. For inspiration, you can follow many of them on social media.